An impact of influential significance as a result of the high heritability of their most characteristic fleece qualities. When they were just starting in alpacas, Chris and Adrienne also claim to have received valuable advice from geneticist Dr Raoul Ponzoni, who recommended to them to maximise genetic diversity in their breeding program in order to achieve the most significant genetic advancements. Even in the selection of breeding males out of Peru, Ponzoni encouraged them to source from geographically distinctive locations, to increase the likelihood of a diverse genetic pool. Ambersun Alpacas owes much of its success to the quality of its stud males. These males have been sourced from throughout Australia, the United States and Peru. The search began in 1996, with the acquisition of the white Accoyo male, Peruvian Auzengate, the number one import from Peru into the USA in 1995. Two additional white Peruvian males were added to the Ambersun stable in 2002, with Fine Choice Peruvian Ultimo and Peruvian Poncho, and then expanded again in 2005, with the acquisition of Ambersun Peruvian Lago, Ambersun Peruvian Achilles and Fine Choice Peruvian Travolta and his son Ambersun Peruvian High Dancer. With the need to service an expanding herd of black and grey alpacas, in 2005 Ambersun also imported a rose grey male, Ambersun Peruvian Bocelli, and a black male, Ambersun Chaparral Peruvian Cortez. These males collectively provide the best genetics of Accoyo, Rural Allianza, Sollocotta and regions of Macusani and Santa Rosa in Peru. In addition to these animals imported from Peru, Ambersun Alpacas has incorporated into its herd the very best of Australian bloodlines. These males include Jolimont Warrior (white), Jolimont Cassius (white), Whitehorn Ranch Masquerade (fawn), Benleigh Golden Flame (fawn), and Purrumbete Othello (black). Through the pedigrees of these acquired males, Ambersun Alpacas has also injected the bloodlines of Purrumbete Highlander, Benleigh Brigantine, Purrumbete Inti, Jolimont Sculptor and Jolimont Conquistador, all prominent alpacas in Australian breeding history. Ambersun has deliberately focused on diversification in its genetic pool and the acquisition of quality males has been an ongoing process. Some of these males have been purchased with the cooperation and syndication of other Australian Alpaca breeders, to whom we are grateful for their contribution. Access to the superb genetics of these Ambersun stud males is also available to other breeders. This may be achieved through the provision of a servicing network which incorporates a mobile mating service for a selection of the stud males, throughout New South Wales, Victoria, ACT and South Australia. 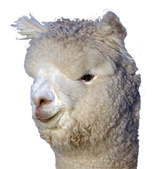 Ambersun Alpacas also offers for sale a selection of breeding males and breeding females, which carry these remarkable bloodlines.